Minimum 6-7 hours of direct sunlight. Protect from mid-day scorching sun is good, longer duration of lower intensity light is OK. Roses do best with good air circulation. Plant with the graft resting at soil level. In nursery containers, before planting, water every day. In larger decorative containers, probably water every day. In a garden bed, twice a week, three times in summer could be a good guide, but there is no set amount. Avoid wilt. Avoid soggy roots. Keep leaves dry. 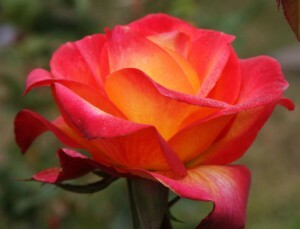 An exception is rinsing the leaves if dusty, and giving the roses a cooling shower on a sweltering summer afternoon. Also washing aphids off. Water in the morning. Water slowly and deeply. 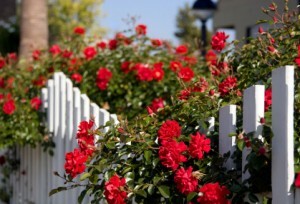 Roses will thrive on less care than you expect if you give them as much water as they need. Anything organic (that decomposes), minimum 2 inches. (Bare soil an inch or so around the stem.) If disease is a problem, remove mulch and replace with fresh, otherwise just topdress. Main point is FEED THEM!! Mushroom compost is great, slow release is convenient, liquids are a quick fix, Mills Magic is great, organic and endorsed by the American Rose Society. Follow package directions on any fertilizer. Use a complete fertilizer with micronutrients. Start feeding in early spring after pruning, feed every 6 weeks or so. Stop in fall to support dormancy. Containers need more frequent, lighter applications and periodic leaching. Most likely to encounter: Aphids: small soft-bodied sucking insects –wash off leaves with a strong stream of water. (Ladybug larvae eat these) Borers: insects that lay eggs in the canes, particularly on cut ends – cut the cane below where it is hollowed out. Spider mites: tend to infest in hot, dry weather. You may notice fine webbing, and yellow stippling of leaves. Spray with a miticide or an insecticide specifically labeled for spider mites. Thrips: You may notice deformed buds that do not open. Keep immediate area free of tall grasses and weeds. Spray with an insecticide specifically labeled for thrips. Use the paper test to identify spider mites and thrips – shake affected flowers and leaves over a white sheet of paper. Spider mites look like finely ground pepper, thrips look like thin brown pencil marks. Give up and quit growing roses. JUST KIDDING! Traps are not recommended, as they attract every beetle in the area. Prevent by treating turf with a lawn grubkiller, or Milky Spore. Handpick beetles and drop in soapy water, or alcohol. Spray with Liquid Sevin. Deer: Try Liquid Fence, Irish Spring Soap shavings or milorganite in stocking feet.Or a 7 foot fence. Don’t be intimidated – you are bigger than these guys!! There are other possible ‘bugs’ that may bug you, they can be identified online, at your local extension office or give us a call. Prevention is the best cure!! 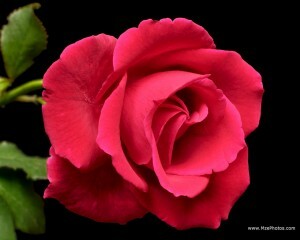 Keep the rose healthy and disease resistant with adequate water, fertilizer and air circulation. Start a spray program and follow it, nothing should get out of control. Fungus (mainly blackspot and powdery mildew) is the worst problem. Some roses are resistant, I haven’t seen one completely free. Georgia is a prime fungus breeding ground. Spray when leaves appear in spring. Spray every 14 days, alternating the active ingredient (daconil, triforine) in your chemical. Spray in the morning, before the sun hits hard. Spray the undersides of the leaves and the mulch, too. If you have actively affected leaves, pick them off and throw them in the trash. Crown gall – lumpy growth near the graft. Cut it out. Disinfect pruners after cutting. Cut off spent flowers to encourage continued bloom and keep the rose looking good. Cut just above an outward or upward facing leaf (5-leaf). Twice a week should do it. Even in the heaviest bloom period. Floribundas and shrubs: smaller flowers, many per stem, shorter plant, thinner canes, more disease resistance English: old fashioned full bloom, great fragrance.